Terma Delfin designer electric radiators offer an energy-efficient, user-friendly heating system that supports app control via Bluetooth. This 800w, 1020 x 440mm version is a great choice for bedrooms and living rooms and its versatile white finish adds elegance to any home. 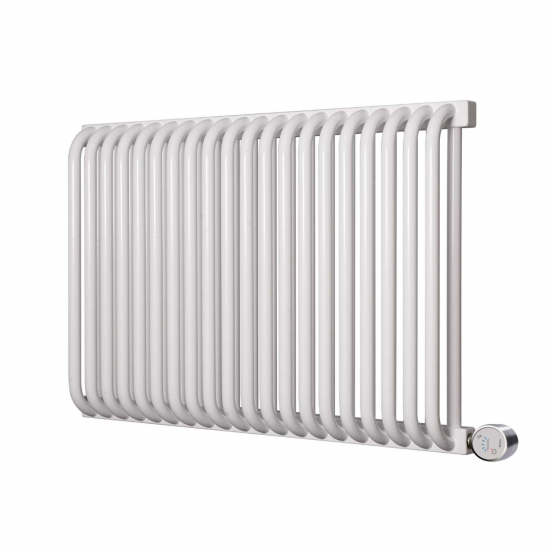 Terma Delfin Designer Electric Radiators are the sophisticated choice for home heating, with their gently curved bar design, minimalist aesthetic, and controllable heating element. This 800w version of the Delfin comes finished in white, with anthracite versions also available.